CMcK BoT and Staff encourage all drop offs and pick ups to be completed on our school courts. Before school parents walk their students to the pathway beside the hall, younger students can walk with a sibling Yr 5 and over. It is very important that all drivers are aware that sometimes students may forget the rules and rush across the playground—the speed limit inside our school is posted on signs as you drive in the gate. After school students are to be picked up from the hall or on the path outside the hall. Students are not to commence playing in the playground until the adult who is picking them up has arrived. This ensures that the Staff know all students have been safely picked up. Those students who are walking home must have left the school grounds before 3:15pm to ensure they are crossed safely by the teacher on bus duty. Meet at the bus shelter directly after the bell and inform your teacher of which bus you are catching. Staff always contact the bus company to report late arrival of busses. We are also currently compiling numbers for the WCC consultation. 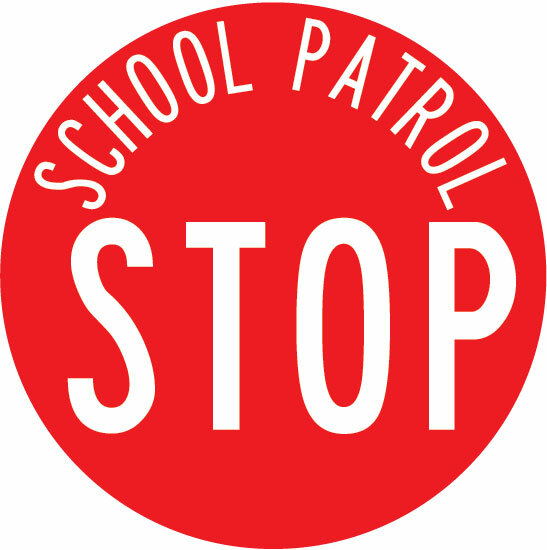 Our school patrol is a wonderful group of parent volunteers. They wear a high visibility jacket so all are aware that they are acting as a school patroller. Because of the corners before the crossing and the speed which cars travel we ask that no one drops off within ten meters of the crossing. Although there are not yellow lines there we ask that you respect our request to keep our volunteers and students safe. The school patrollers keep the school informed of any circumstances were they believe safety has been compromised. They will give polite reminders to families who park within 10 meters during the morning crossing duty. We began the season of Lent by celebrating a mass with our new parish Priest Fr Ron Bennett. Lent is a time of reflecting upon how much God loves us, no matter what we do, and for giving thanks. As we were marked with Ash yesterday, we began our journey through Lent to prepare for the wonder of Easter. The ashes remind us that even though we don’t always live God’s way, if we ask God to forgive us, we will receive forgiveness and love. We were delighted to share this mass with family and the St Thomas More Parish. Our students wearing our uniform are a walking advertisement for our school. The students’ behaviour is always impeccable and it would be lovely to see them wear our correct uniform with pride. Included below is the correct school uniform items. Please help us by ensuring your next uniform purchase is the correct colour and style explained in the list below. Please note: All shoulder length hair must be tied back. No nail polish or jewellery apart from a cross or bone carving/pounamu that are able to be worn underneath the school polo top. Uniform is available for purchase from NZ Uniforms, 167 Thorndon Quay. Open Mon—Fri 9am – 5 pm and Sat 9 am – 4 pm. Welcome back for the 2016 school year! Over the past few weeks the teachers have attended professional development in literacy and innovative learning pedagogy while preparing their classrooms for the new school year. We have all commented on how empty CMcK feels without its students and as I visited each classroom it was wonderful to see our buildings filled with the joy and excitement of ‘getting to know you’ activities. Our first day back culminated in a blessing liturgy where we also welcomed our two new members of staff Kate Reynard (Rm 4, Deputy Principal) and Laura Thomsen (Rm 3) as well as Fr Ron Bennett (Otari Parish Priest) to our school community.